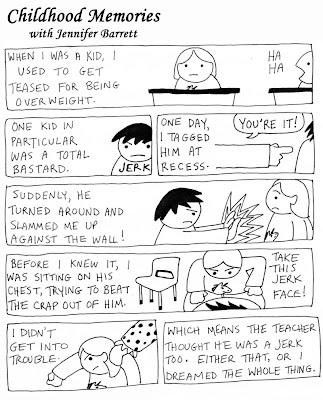 This one sort of fits in with the larger, colour autobiographical comics I've done in the past. I seem to be on hiatus from those for a while. Eventually, I'd like to re-draw a lot of them. But for now, I'm enjoying this simpler, goofier style. On a side note, I've been reading Scott McCloud's Making Comics, and it is a fine resource, let me tell you. Someday I may actually put it to use!